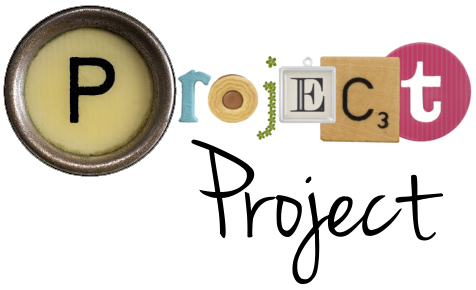 Project Project: Project Baby: Keeping busy - or at least wanting to. Project Baby: Keeping busy - or at least wanting to. The past week has been spent in the loving arms of my couch. Partly because I am big and uncomf these days, and partly because I've had a miserable cold. And, seeing as most of my friends are either pregnant or have small children, that has meant solitary confinement for me. Which, let's be honest isn't all bad: lots of naps and books, hours (and hours) of aimless interneting, hours (and even more hours) on the phone with my mum who never seems to get tired of me calling her. But cabin fever is setting in. I've been trying to stay busy with a body that let's me know it's time to slow down after a load of laundry. Except everyone keeps telling me to slow down and enjoy this time to relax: Nick, my mum, my doctor, anyone who has ever had a child... But I don't really want to slow down. I want to get things ready! I want to clean everything and organize the closet in our bathroom and make our house all nice and ready for the baby. I want to get my hair cut and my eyebrows waxed and meet friends for lunch and go to the library and go shopping and all of the things that will not be as easy with a baby. But instead I sit here on my couch with a runny nose and a kicking baby in my tummy and wait. Sigh. I guess "they" weren't kidding about the last month being the hardest. For you knitters out there, I used this pattern with a few moderations: instead of 24"x24", I made it 30"x30", and I crocheted around the edge instead of knitting. Turns out lots of sitting around can be productive! OK, readers, let me ask you: How would you suggest filling this last month? Ideas for things I can do when I can't really do much of anything? Any absolute must-dos before the baby is born? NAP! nap nap nap nap nap nap nap nap nap nap nap nap nap nap nap! That is my suggestion. Ben says "go to disney world". I don't think that is really a viable option considering it would entail flying and waddling around a large amusement park. so . . .
NAP! nap nap nap nap nap nap nap nap! It may seem like a waste of time or gluttony now, but in about a month it will be a luxury! I meeeeeeees you! I wish I were there to go to lunch/eyebrow wax/hair cut/hang out with! I love you Tiny T! Make a lot of noise without worrying about who it will wake up....then listen carefully afterwards to the peaceful stillness of no babies crying! Relish in carrying JUST a purse wherever you go! Enjoy reading whatever you want in peace. As I write this comment Rylan is saying, "Seriously, turn the wii on, Mommy" over and over and moving my chair . . . Natalie just started crying, so I am done reading for now. I hope you are feeling better. The blanket is adorable. Erin: Napping is probably the best thing you could ever tell a pregnant woman to do. That, and getting a pedicure/footrub. Disneyworld, not so much. Sorry Ben! Holly: As I loaded up to go to church yesterday, I was reminded of just how true your advice is. Seriously, babies have about 10 lbs. of stuff for every lb. of themselves. North5: But I bet Natalie is cute when she's crying, right? Quietly and politely?